Play forward the fourth industrial revolution around data and analytics – this shifts how you begin to imagine future banking services. Think of it as being like apps on a smartphone. Helping banks get the most out of their financial crime risk management programs. Experienced with compliance and AML technologies. Patrick leads our Financial Services Advisory on financial crime services across EMEIA. He joined us in New York in 2009 and transferred to London in 2012. 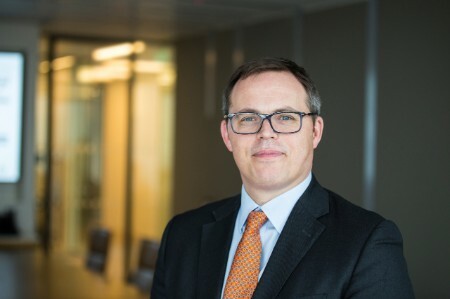 His recent experience involves driving innovation in financial crime through the use of technology and analytics, specifically with robotic process automation and machine learning techniques. Prior to joining us, he worked for three technology start-ups in New York and a consulting firm in London. Patrick lectures for the International Compliance Association and speaks at international conferences on financial crime topics and compliance technology. He holds a bachelor’s degree in Biological Anthropology from Cambridge University. Patrick advises banks to use technology to better fight financial crime in collaboration with other banks and the public sector. A recent machine learning project improved a bank’s detection rate by 100% and halved the number of false positive alerts generated by their monitoring system, allowing the bank to focus their resources on identifying and preventing higher risk activities.